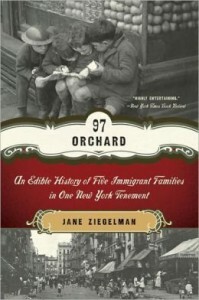 Jane Ziegelman, Director of a culinary program in New York City’s Tenement Museum, uniquely captures immigrant history in 97 Orchard: An Edible History of Five Immigrant Families in One New York Tenement.The families in this book come from various homelands, bringing their food customs with them to America, where they have become assimilated into the culinary choices of today. Each chapter gives a short biography of a different family living in the tenement, representing German, Italian, Irish, and Jewish descent. 97 Orchard explores the fascinating role that food plays in the development of society. Starting with grocery lists and recipes, they tell the story of the immigrants’ past. What they buy and prepare reflects a mix of foods from their culture and what could be made economically given their present living conditions. The immigrant women endured many struggles to feed and care for their families while living in tightly cramped tenement apartments with no running water, and up to a five story walk-up. The arduousness of carrying water for every need affected the kind of foods they prepared. They made lots of stews, soups and other one-pot meals, as they were the most efficient and economical with the fewest dishes to clean. Ziegelman scatters these kinds of recipes throughout the book. The chapter on the Irish family is very interesting; Irish immigrants came from a country where there was a very short list of foods they ate. With the English nobility ruling over and confiscating Irish land, the people were left to live off small and less desirable plots where the only food that could grow in nearly any soil or condition was the potato. It became their main staple with little else added but a few root vegetables. 97 Orchard helps readers more fully understand the role that the potato famine played in Ireland. While the Italians and French brought a wide and varied cuisine with them across the ocean, Irish immigrants’ offerings were very meager. Yet potato recipes are some of the most beloved. In this book you see how food played a role in connecting the families to their homelands and traditions. In the midst of poverty and struggle, the food they were familiar with gave them comfort. While they clung to what was familiar, these people also ventured into new opportunities; they tried a variety of food and spices they had never experienced before, and for many, a wood-burning stove was entirely new and exciting. In addition to the history of food in this time period, 97 Orchard shows the movement of the immigrants from deep hulls of the ships on which they sailed to the struggling conditions of fresh arrivals in a vast and bustling new world. This world did not always welcome them with open arms, except for loved ones who had come earlier. 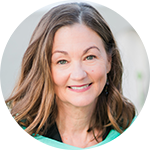 Ziegelman shows us how these families used ingenuity and perseverance to gradually build a stable life and move on to bigger and better things. Through the stories of these people, this book encapsulates what is so often referred to as “The American Dream.” An inspiring trip into our past, 97 Orchard helps us better appreciate the foods we eat today and the struggles that were courageously faced and surmounted by those who paved the culinary way for us all.